Adding to the literature and materials of string players in the 21st century. Demystifying the study of string playing, and bringing to thousands of players around the world a level of help and training that had previously been the privilege of only the few. 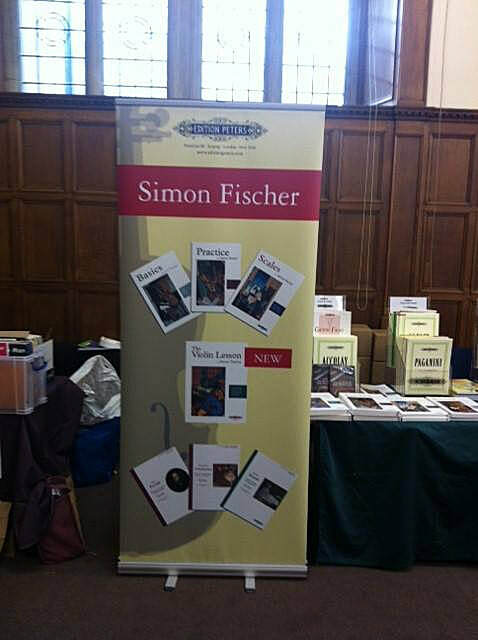 "Simon Fischer is a thoroughly accomplished violinist, a wonderful musician." Now available! TONE: Experimenting with proportions on the viola. I wish to say a few grateful words of true appreciation for my new and improved technique. I realized that after three days of practicing the viola scales my scales were in tune with these exercises. I had been working on some more advanced scales for months, and every day I was not sure if i would play them in tune. It was lucky if I did. Now If my teacher asks for scales I know I can play them without a doubt. I was so hooked i ordered Basics and decided to just do some basic self-transcribing for viola so I can consume more Simon Fischer genius. Every time I open the Scales book it feels like having a world class pedagogue in the room. It is a true joy. This is also a plea to please, please transcribe Basics for viola. I promise everyone will buy it, and if they don't I will buy them all! I am sure I am just one in a sea of millions you have helped, but i wished to be another person to thank you for everything you do. I once again express my eternal gratitude to you for the tone production work you recommended. It's like I have been playing in black and white my whole life, and there are now suddenly colours everywhere to be discovered. The explosion of possibilities I'm experiencing is almost overwhelming - a similar feeling to when I got my new violin (which is a very fine old Italian), and perhaps even more so. It will take months and maybe even years for me to master all the new-found colours of the instrument, and I am looking forward to every minute of it. It is with some regret now that I seem to have played the violin for more than twenty years with almost no awareness of contact point and the different tonal qualities of each one, and I think in the process of all of that, I had stopped listening! Download and look through them when you need something to get you going!